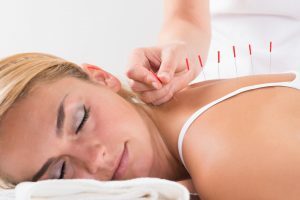 Acupuncture is great for relaxing the body and easing one's aches and pains, but the benefits of acupuncture go beyond the body. The role of acupuncture is to balance and calm the mind and spirit as well as the body. You cannot have a well body with a distressed spirit or an over-stressed mind. Healthy body includes a calm spirit and mind. I tell people that I cannot take their stress away, but with acupuncture, they might handle the stress and distress of their situation with a little more clarity or calmness. There are several points for calming the spirit, but other points that help move the energy and blood also contribute to a more peaceful mental and emotional state because energy stagnation can cause irritability, pain, indigestion, anxiety, insomnia just to name few symptoms.